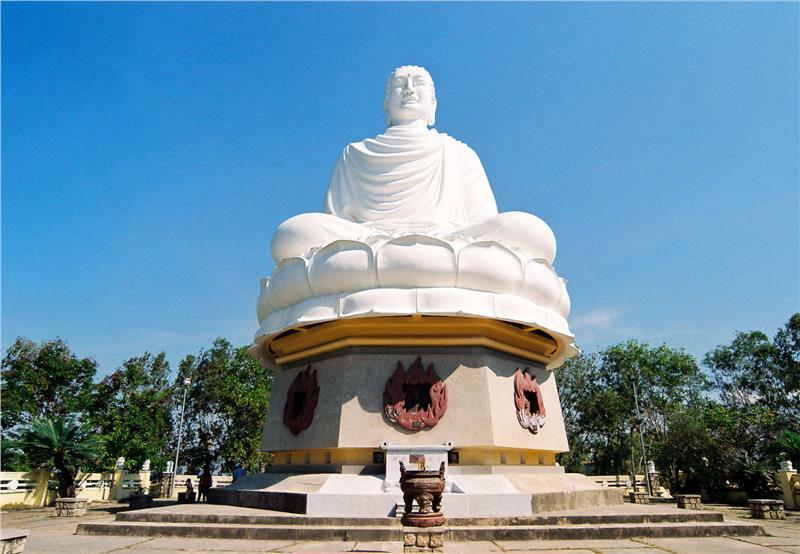 Quy Nhơn, the capital of Bình Định province on the coast of central Vietnam, is a city long dismissed by Vietnamese and foreign travellers alike as no more than a convenient overnight stop halfway between the old-world architecture of Hội An and the booming resorts of Nha Trang. 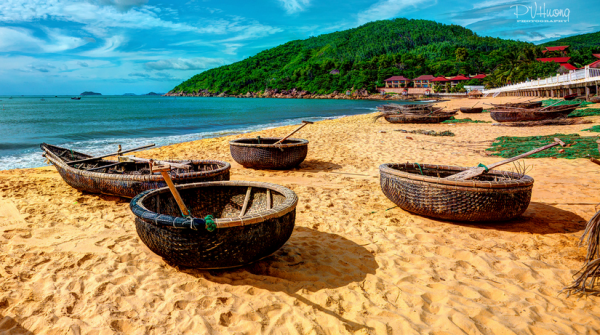 Quy Nhon is precisely what makes Quy Nhơn the rarest of gems: a beach city in Southeast Asia unspoiled by the ravages of mass tourism. The centre of Quy Nhơn lies on a small peninsula which juts out like a dragon's head from the mainland into the South China Sea. With little traffic, no international chains, and a siesta time that sees most businesses close for a few hours every afternoon, this city of 300,000 people has a sleepy, small-town charm which stands in stark contrast to the commercialism and development of other Vietnamese cities. Bordered on both sides by layers of mountains receding into the hazy distance, the natural beauty of Quy Nhơn's waterfront has inspired poets for centuries and is still its most obvious attraction today. A sparkling new promenade runs along the length of the city's five-kilometre beach. Outside the centre, you'll find dozens of tiny fishing villages and coastal bays, the most accessible and best-preserved 11th-century Champa ruins in Vietnam, panoramic views from mountain roads slicing high above the coastal cliffs, and pristine beaches with not a soul in sight for 10 kilometres. On the coast to the south of the city centre are several beautiful coves and villages, including Bãi Xép, the tiny fishing village popular with international tourists. To the northeast of the city is the Phuong Mai peninsula, a vast expanse of mostly barren land with stunning coastline; it's still fairly undeveloped, but is being rapidly transformed into an industrial and luxury tourist zone. And everywhere in Quy Nhơn, you'll be charmed by the people themselves. Almost no one speaks more than a few words of English, but as one of the few foreign visitors, you'll be stopped constantly by both adults and children shyly greeting you with their one phrase: "Hello, what you name!". Their doors are always open - figuratively and literally - and if you walk around a bit, you'll end up being invited to more coffees and meals than you could ever fit into your belly. It is over 600km (400 miles) from Ho Chi Minh to Quy Nhom, which takes about than 14 hours, while a Hanoi-Quy Nhon ride (1100 km or 690 miles) takes about 20 hours . You can consider some of the nice bus firms. Beaches. You can opt for Quy Nhon beach (in the city), or get to Trung Luong beach, a very beautiful, clean, pristine, blue sea. And even more amazing, the seafood is so cheap and fresh.